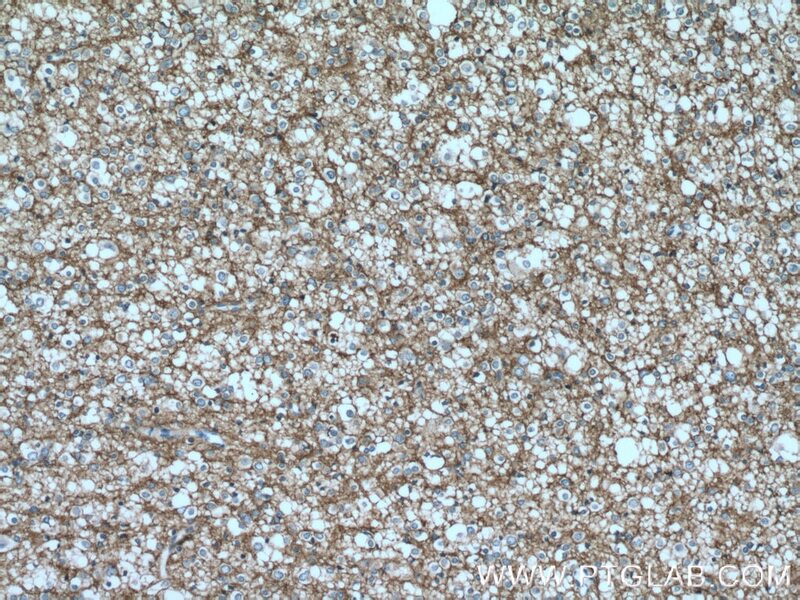 Immunohistochemical analysis of paraffin-embedded human gliomas tissue slide using 12635-1-AP( GNAO1 antibody) at dilution of 1:100 (under 10x lens) heat mediated antigen retrieved with Tris-EDTA buffer(pH9). 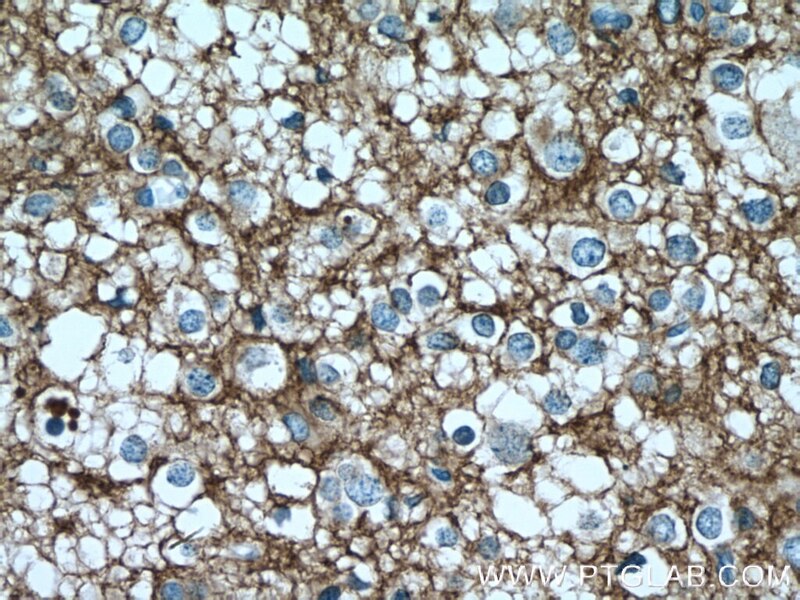 Immunohistochemical analysis of paraffin-embedded human gliomas tissue slide using 12635-1-AP( GNAO1 antibody) at dilution of 1:100 (under 40x lens) heat mediated antigen retrieved with Tris-EDTA buffer(pH9). 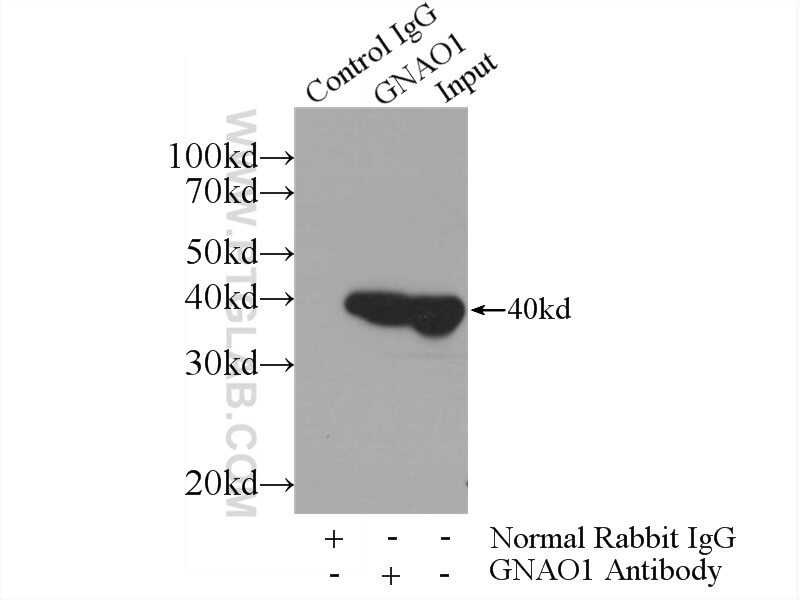 IP Result of anti-GNAO1 (IP:12635-1-AP, 3ug; Detection:12635-1-AP 1:600) with mouse brain tissue lysate 3600ug. The down-regulation of GNAO1 and its promoting role in hepatocellular carcinoma. Overexpression of GNAO1 correlates with poor prognosis in patients with gastric cancer and plays a role in gastric cancer cell proliferation and apoptosis. DNMT1 mediated promoter methylation of GNAO1 in hepatoma carcinoma cells.